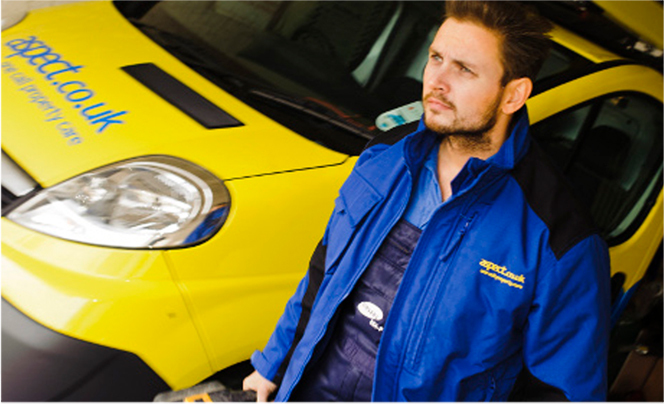 Aspect.co.uk aim to provide the highest standard of property maintenance in London. 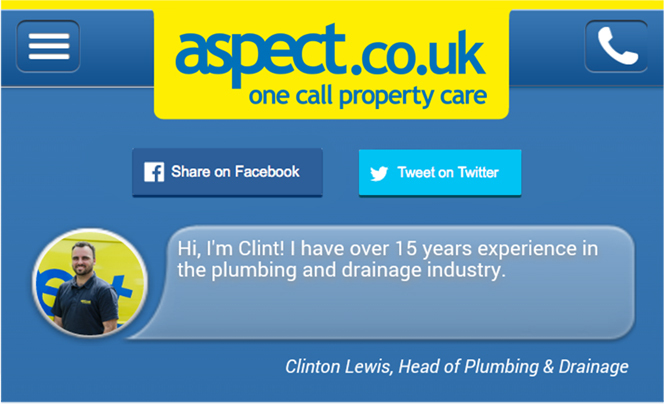 Aspect offer friendly, award winning customer service from plumbing services to electricians and decorators to gas engineers. Services are available 24 hours a day. 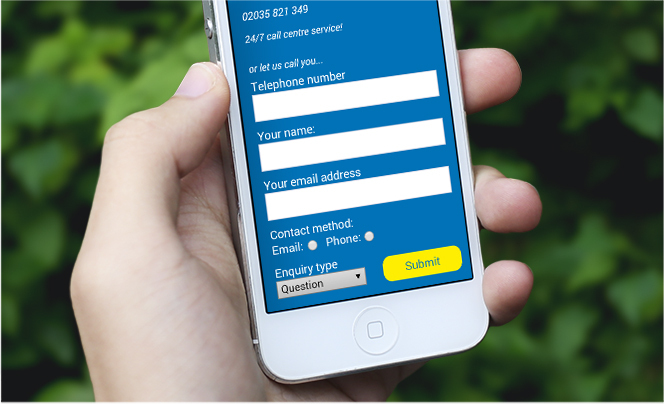 Finer Vision were asked to develop a mobile application for the Apple App Store and Google Play store. 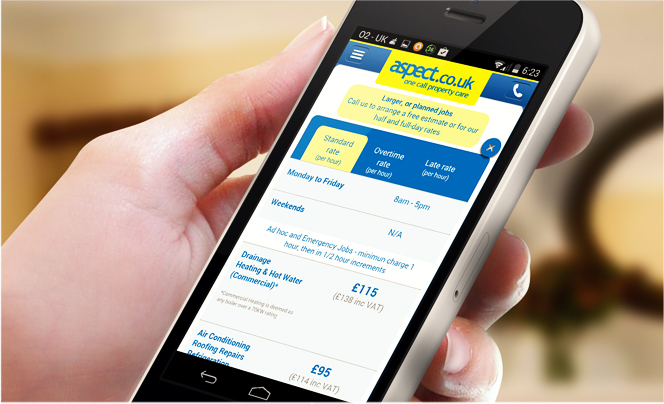 We took the services available on the Aspect.co.uk website and translated these to mobile, making it easier for customers to book property maintenance. 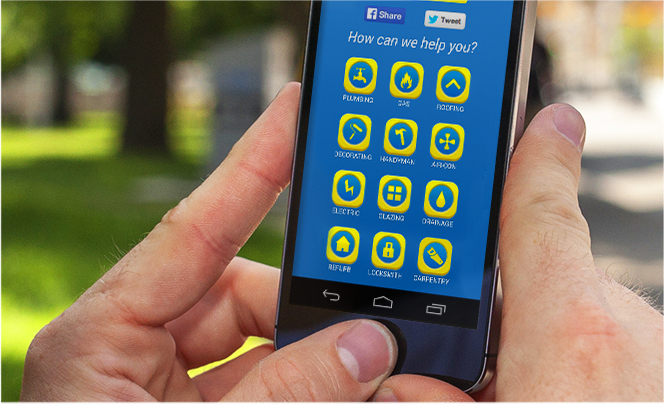 The application makes it very easy for customers to book, ask a question or review a service. Customers are also able to see rates, view frequently asked questions and most importantly, place an order.